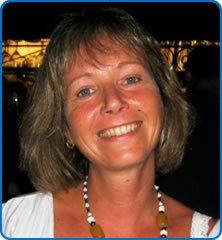 Dr Janine Mendham trained in anaesthetics at Cheltenham General Hospital and then in the South West. She spent a year at the University of Maryland at Baltimore during her training before being appointed to a consultant post at North Bristol NHS Trust (NBT) in 1998. She is one of two acute pain consultants in NBT, Clinical Lead for the chronic pain service and Deputy Director of Medical Education for NBT.